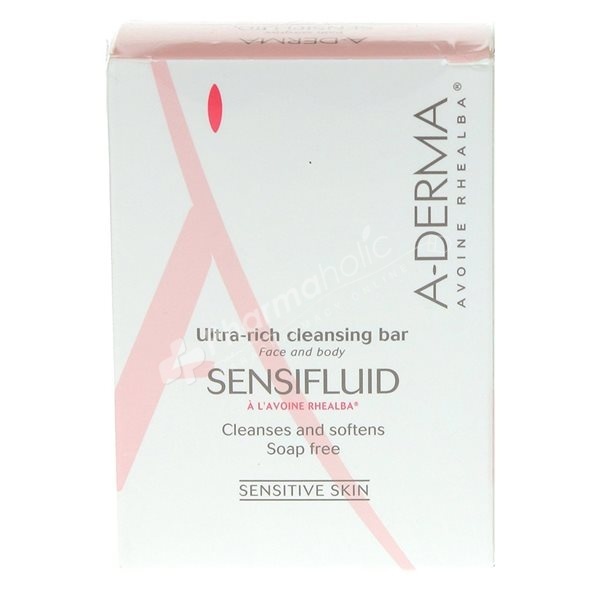 Aderma Sensifluid Ultra-Rich Cleansing Bar, with its gentle cleansing and moisturizing active agents, thoroughly cleans sensitive skins without having any of the drawbacks of traditional soaps (irritations, dryness). A mild cleansing base that gently cleans without irritating the skin. Tolerance tested under dermatological control. Soap-free. For daily use on the face and / or body. Disodium Lauryl Sulfosuccinate, Maltodextrin, Sodium Cocoyl Isethionate, Stearic Acid, Aqua, Talc, Sodium Cocoyl Isethionate, Stearic Acid, Aqua, Talc, Cetearyl Alcohol, Paraffin, Ceteareth-6, Avena Sativa (Oat) Kernel Flour*, Prunus Amygdalus Dulcis (Sweet Almond) Oil, Butyrospermum Parkii (Shea Butter), Citric Acid, Parfum (Fragrance), Glyceryl Linoleate, Glyceryl Linolenate, Microcrystalline Wax (Cera Microcristallina), Polyethylene, Titanium Dioxide (CI 77891), Tocopherol.